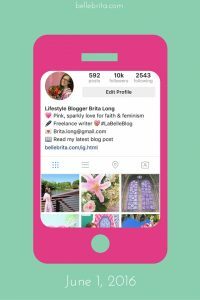 I’ve blogged a handful of times about Instagram before, sharing favorite posts from #LaBelleBlog and revealing why I unfollow Instagram accounts. 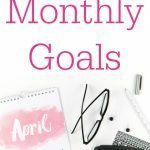 But this time I’m going to share how I went from 1,000 Instagram followers to 10,000 Instagram followers in just 6 months! Plus, you can learn from my mistakes and increase your Instagram followers even faster. After years on Instagram for funsies, and about 9 months of using Instagram for my blog, I finally reached 1,000 Instagram followers in December 2015. On June 1, 2016, I obtained that magical number: 10k. 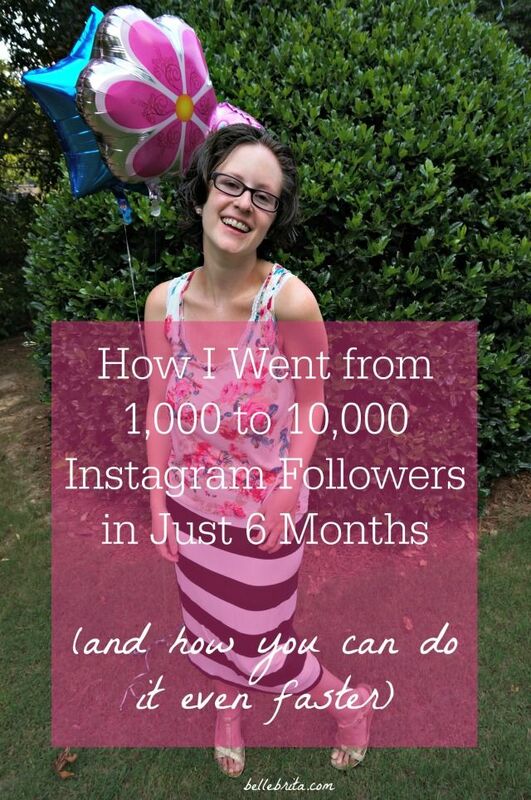 You can reach 10,000 followers on Instagram too, AND you can do it even faster than I did! Before I jump into the strategies I used to increase my Instagram followers, let me share a few approximate numbers. All numbers below are rounded slightly. In February, I gained 600 new followers. In March, I gained 2,000 new Instagram followers. In April, 2,500. In May, I grew my Instagram following by a full 3,000 new followers. That finally took me to 10,000 followers on June 1st. Since then, I’ve spent less time working on my following, and more time improving my engagement. (It’s roughly 3% after 48 hours and 4% after 7 days. I want to be at 3% in 24 hours and 5% after 7 days). Even with my changed focus, I gained another 2,500 followers in June. 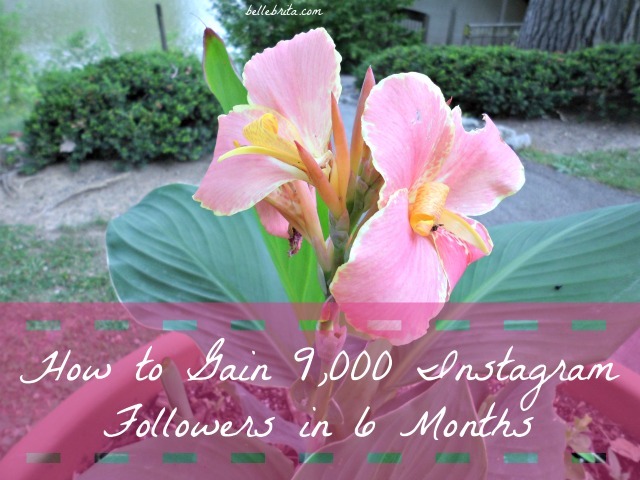 At the time of publishing this blog post (07/19/2016), I have approximately 13,600 Instagram followers. How did I manage all this? I joined an amazing community in Fall 2015, either September or October. At the time I had less than 500 Instagram followers. Liz Dean, the founder of the group, shared all of the strategies she had used to increase her Instagram following: follow/unfollow, liking and commenting, and photography advice. The rest of us shared tips and tricks to increase our Instagram followers, improve our engagement rates, and monetize our accounts. We A/B tested ideas. We provided mutual support for growth. I applied what I learned and grew my account from under 500 followers in the fall to 2,500 followers at the end of February. After a few months, Teri Didjurgis shared her success with a program called MassPlanner. As the group grew, Liz and Teri teamed up to form the company InstaRevealed. They wrote seven Instagram guides, now bundled together. I bought Guide 5 and MassPlanner at the beginning of March. Eventually I bought the other guides, until I had the whole bundle. Edit 04/21/2017: Liz and Teri just rebranded as The Social Media Posse. The guides are still the same and still awesome! 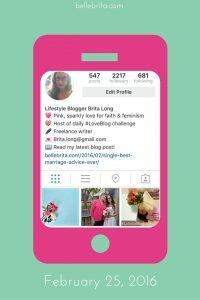 Edit 06/30/2017: Liz is now working solo on The Social Media Posse and recently released new updates to all the guides based on A/B testing of strategies after all the Instagram algorithm changes. Making these two investments has saved me SO much time. Furthermore, buying this bundle of guides and this social media program have helped me grow rapidly on Instagram. In turn, I’ve received several great opportunities from brands who want to work with me. Use code RINGINGINTHENEWYEAR to get 50% off! I started buying the guides almost as soon as they were published. Eventually I ended up buying the whole bundle: Instagram Decoded Course: Guides 1-8 eBooks + Bonus: Schedule + Checklist. Now Guides 1-8 are only sold as a bundle for $199.99. What are the guides? When you buy the guides, you also get access to the VIP group, to Bubble Nets (a targeted follow/unfollow group strategy), and the MassPlanner group (if you buy MassPlanner too). Use Code MAKETHATMONEYONINSTATHXTOBRITA1 to get 10% off the bundle! Guide 01 is free if you want to get a feel for the guides before buying the bundle. Keep in mind I bought the guides even though I’m an original member of the Instagram Posse. The guides evolved from strategies shared in the original group. But Teri and Liz refined these strategies, plus discovered new ones. As much as I learned in the first several months in the Posse, we were all still doing trial and error together. The guides are the proven strategies from those trials and errors, broken down into explicit detail. Can you find this information for free elsewhere on the Internet? I’ve read dozens and dozens of articles on Instagram growth. I’ve taken free classes with Alex Tooby and Hilary Rushford. I have not found ANYTHING at all like Guide 07. It is completely unique. I’ve found some information like Guide 05, but not with the details and explanations provided by Liz and Teri. Their approach to follow/unfollow is more refined than what anyone else has described. I’ve found great articles about hashtags, with suggestions of which hashtags to use, but not a single one that explains the research process to find the best hashtags for YOUR niche. In that, Guide 04 stands out. I’ve read tons of great tips on increasing your engagement, but Guide 06 shared a few new tricks that I couldn’t believe I hadn’t tried before. I actually didn’t initially think I needed Guides 02 and 03. I only bought those with the “top up” special to get the whole bundle for those of us who had initially bought the guides individually. Turns out both guides still had a few tips that I hadn’t considered before. The information in Guide 01 you can absolutely find elsewhere… if you don’t mind reading multiple articles and taking a few free classes. Or you can download it free on the Social Media Posse website and get all the details at once. Edit 05/15/2017: MassPlanner emailed all of its users and affiliates last week to let us know they are shutting down for now. All current users can keep using MassPlanner until your license expires. Whether or not MassPlanner will launch a new version without Facebook and Instagram functionality is still to be determined. For now, Facebook/Instagram have stopped MassPlanner from taking new customers. Again, existing customers can still use Facebook and Instagram functionality until our licenses expire. MassPlanner is a program that runs on your PC. It signs into your social media accounts and acts on your behalf. It’s different from other third-party applications because it actually works as your account, as opposed to using the Instagram API like Instagress and Crowdfire. MassPlanner has greatly reduced my workload. I can set up actions such as following, unfollowing, and liking for Instagram, Twitter, and Pinterest. There are also cool things to do with Facebook and Google+, but I haven’t done as much with them yet. For Instagram, I currently have MassPlanner set to follow 375-475 accounts per day (which is low) and to like 980-1080 posts per day. I used to follow more accounts daily, but I’m struggling to scale my engagement to my follower growth, so I’ve slowed down. I also liked less posts initially, but I’ve slowly upped that. All of my commenting is done manually, and I also still like tons of photos on my own. I also follow gorgeous accounts when I find them, and then I add them to my white list in MassPlanner so the program doesn’t unfollow them. I currently have over 900 Instagram users in my white list. My white list includes accounts I love, in my colorful lifestyle niche. I also maintain a private account for following friends and family not in my niche. MassPlanner offers a free 5-day trial if you want to see how it works. It doesn’t run on Macs, but you can use a VPS if you have a Mac. You can get a monthly subscription at $9.95/month or a 6-month subscription for $44.95, which is what I have. If you’re still with me, you might be frustrated that basically all I’ve told you is to use my referral links to buy stuff. In fact, I assume you feel that way because every time I come across a blogger promising me growth if I just buy stuff with her referral link, I feel frustrated (and misled by her blog title). The fast way to gain Instagram followers, however, is to buy the bundle and MassPlanner. I can’t promise using my referral links will help you grow faster, but it couldn’t hurt! However, I am going to share specific strategies to gain Instagram followers the slow way. I grew my first 1,000 followers this way. I went from 1,000 Instagram followers to 2,500 without the guides or MassPlanner. You can do it too. I know that $199.99 is a lot of money, and plenty of people have more time than money. I won’t go into great detail on this because you can get Guide 01 free. However, I’ve come across this bizarre misconception that your bio doesn’t matter that much. Here’s the deal. Maybe you don’t read user bios. Not all of your followers will read your bio either. But some people will. These are the people who will read your blog or download your ebook or sign up for your newsletter. Write your bio for these people. These people are your most quality users out of your targeted followers. Notice how my bio has evolved. Consistency isn’t just about how often you post, or what time of day you post. Consistency also refers to your use of colors, your choice of subject, and your selection of filters. 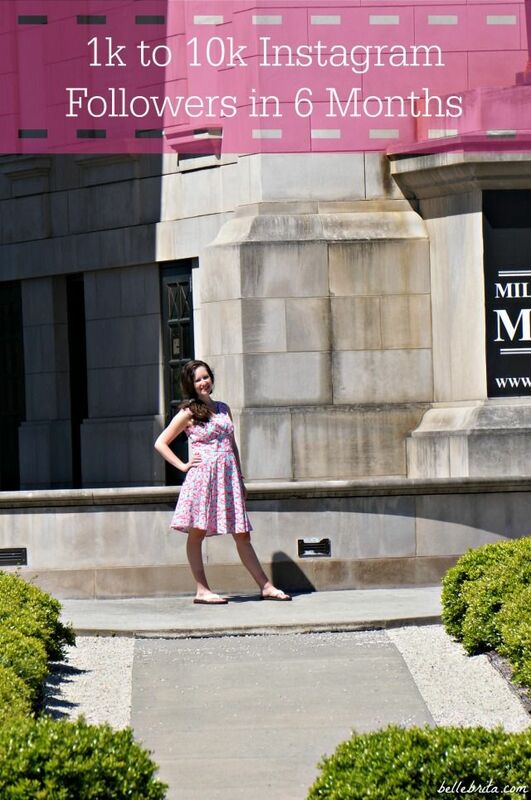 Pink is my primary color, but I also use a lot of blue/green. I use five general groups of hashtags. Obviously I use a lot more hashtags than just those, but hopefully my examples will guide your own hashtag research. Since #LaBelleBlog is my hashtag, I use it in every single post, in the caption. The other hashtags I rotate through, and I try not to repeat any of them in two posts in a row. I also post the other hashtags in the first comment of my Instagram posts. I try to use hashtags that are a variety of sizes. I rarely use hashtags with more than 150,000 posts. I prefer to focus on smaller, more niche hashtags. Putting hashtags in your post is not enough in and of itself to gain followers or increase engagement. Go through the hashtags on your post. Like/comment on a bunch of other posts using those hashtags. Rinse and repeat. Engage with the users you follow. Engage with your followers. Engage with the people who like/comment on your posts. Comment Pods are an amazing free service offered by InstaRevealed to the members of the Instagram Posse. I beta-tested the original Comment Pods way back in December. Their evolution has been remarkable! What is a Comment Pod? It’s a niche group of Instagram users who engage with each others accounts. As an original Posse member, I’m in five Comment Pods. (The new limit is four). Edit 10/03/2016: I’ve changed my Comment Pods since writing this post. I’m in the four not struck out. I’m working on another one, but I’m pretty picky about the requirements. Liz and Teri recommend two comment pods max. None of mine are full, so I’m not dropping anymore until I can build the ones that need to be more niche. Edit 06/30/2017: I’m down to two comment pods, and I’m sticking with just these. It was hard to leave my original Lifestyle pod, but I needed to be more focused on my niche. If you look through my most recent Instagram posts, you’ll notice that most have 45-90 comments. Having comments creates a snowball effect of attracting more comments. Certainly if you read through all the comments, you’ll see familiar faces pop up. These are mostly my pod members. But I also have tons of comments from other Instagram users. Engaging with others will definitely help your own engagement, but it’s a slow way of gaining new followers. Luckily, there’s a quicker method. There’s a reason Liz and Teri released Guide 05 first, even though technically it’s better to follow the guides in order with the bonus schedule. The follow/unfollow method is everyone’s dirty little secret. I will go more into depth on the controversy of follow/unfollow in a separate blog post. However, based on my own experience, and the experiences of many others, a targeted follow/unfollow strategy is the quickest way to grow your Instagram followers. How do you find targeted accounts to follow? There are two different approaches to finding Instagram accounts to follow. The first is to follow users who like or comment on a post of a favorite Instagram account, preferably immediately after they do so. The immediacy increases the likelihood that they will be using the app when you follow them, and thus see the notification that you followed them. The pros to this strategy is getting a higher followback percentage, plus you’re gaining Instagram followers who have indicated they’re active users. The cons is that you’re at risk for re-following the same accounts. However, by using MassPlanner to follow users who engage with a post, this risk is eliminated. MassPlanner won’t follow the same account twice up to 100,000 accounts, unless you choose to erase the list of accounts you’ve followed before. After you’ve unfollowed 100,000 accounts, the list starts over. The second is to follow the recent followers of other niche users. For me, that means I follow the recent followers other lifestyle bloggers and other pink/feminine accounts. The pro to this is again the immediacy. The con is that Instagram is currently beta testing an algorithm change with some users, who no longer see follower lists chronologically. Again, this change increases your risk of re-following the same accounts. Again, you’re safe if you automate your following with MassPlanner. There are also two different approaches to unfollowing. The first is to unfollow everyone after a certain number of days, except for any accounts that you love and want to keep following. The second is to unfollow users who do not follow you back. There is a limit to the second strategy. Instagram only lets you follow 7,500 accounts. At a certain point, you will need to unfollow accounts. Are you still with me? I know I’ve covered a lot of information! You might have noticed I left out one piece of sage advice: create great content. Frankly, I’m a little tired of bloggers claiming that “create great content” is all you need to do to have a successful blog or Instagram account. I’ve found gorgeous Instagram accounts with engaging captions who have less than 500 followers. I’ve also seen truly terrible Instagram accounts filled with Snapchat filters and bad lighting with over 5,000 followers. Great content absolutely matters, but that’s honestly the most basic advice ever. Which leads me to one last plug for Instagram Decoded Course: Guides 1-8 eBooks + Bonus: Schedule + Checklist. Liz and Teri have put together real strategies, with real growth. Liz has over 46k Instagram followers (littleprettyliz). Teri has over 56k followers (blueskytraveler). Both of them have gained the bulk of their followers in the last year. And hey, I’m proud of my 13.6k 18.2k 29.2k 32k followers on Instagram too! I actually have even more Instagram advice, but I feel like this is sufficient for growing your Instagram followers. 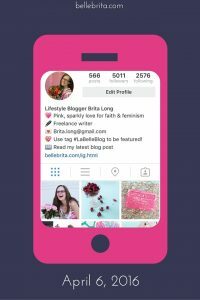 How do you increase Instagram followers? Share your tips below!